Together with colleagues from Oman and Germany, the Department of Applied Geosciences of GUtech conducted a field workshop on Jabal Akhdar’s Saiq Plateau last weekend. The group of geoscientists were from FAU Germany, FU Berlin, GUtech, SQU and PDO. Several German geoscientists are currently conducting seminars and lectures at GUtech. 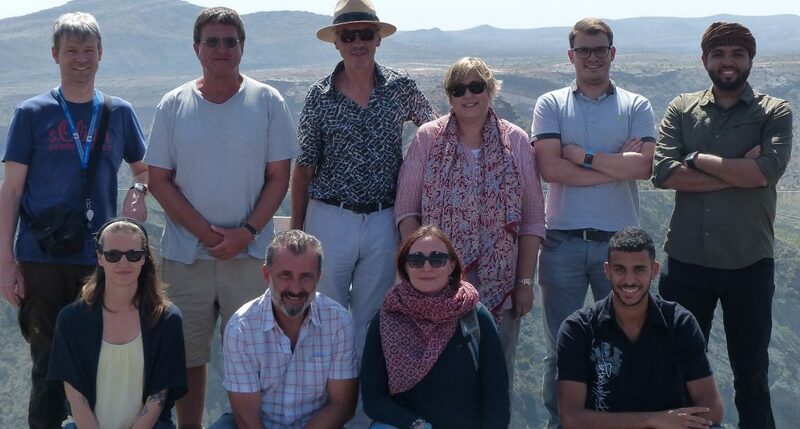 Pictured are (from left to right) Prof Axel Munnecke, Dr. Frank Mattern, Prof. Ekkehard Holzbecher, Prof. Michaela Bernecker, Lukas Reuss, Dr. Husam Al Rawahi and (in front) Katharina Scharf, Dr. Ivan Callegari, Prof. Anette Regelous and Ali Al Hajri.